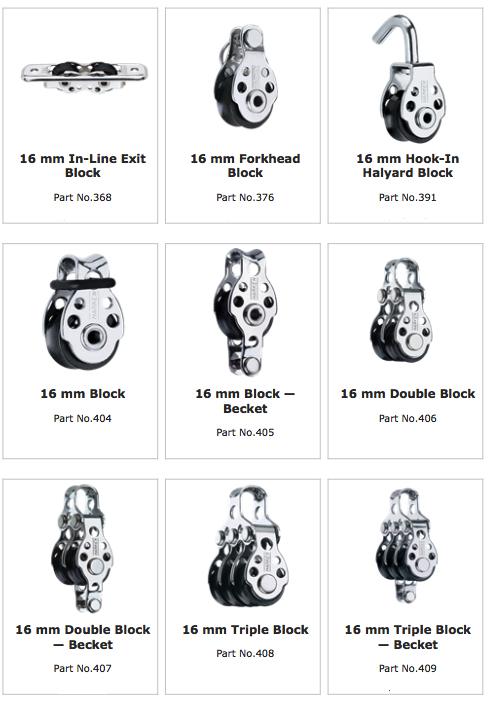 The 16 mm is Harken’s smallest block. It is perfect for small synthetic control lines found on high-tech dinghies. 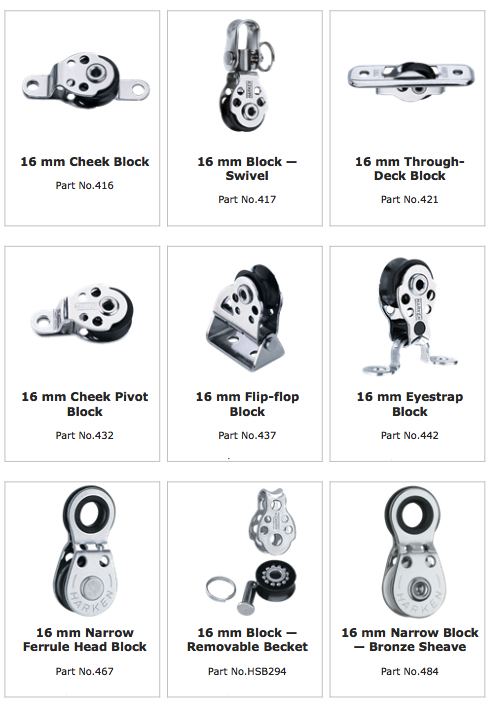 The bearing system uses stainless steel balls in a captive grooved race and has a 113 kg (250 lb) maximum working load—the highest on the market compared to similarly sized blocks. The 442 uses a spacer and the 404 uses an O-ring to keep the line in the sheave during intermittent loading. The 467 and 484 use a narrow sheave for extremely small control lines and have a ferrule head for soft attachments. They use the same high load ball system. The 484 features a bronze sheave for added durability.